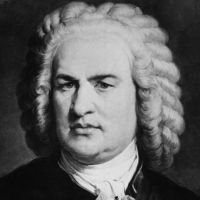 As part of the Marlboro Music Festival’s 60 anniversary, this morning we will air a special historic recording of Johann Sebastian Bach’s Brandenburg Concerto No. 3 in G Major, S. 1048 (1721). The concert was recorded on Sunday, August 15, 1999 in the Marlboro Concert Hall and features the Marlboro Orchestra Ensemble lead by Isidore Cohen.